One of the final Japanese shows of January takes place on Thursday and is an interesting card even if it's not the most exciting on on paper. The show, which features 26 fighters in total, has 13 bouts all scheduled for 4 rounds. Unfortunately this is a show that sees quantity instead of quality, this is evidenced clearly in the fact that we recognise very, very few of the fighters on the show. Although the card is certainly not a highly quality one it's one that is very competitively priced with the most expensive tickets costing just 10,000 yen (shy of $100) whilst the cheapest tickets are just 3,000 yen (just over $29). 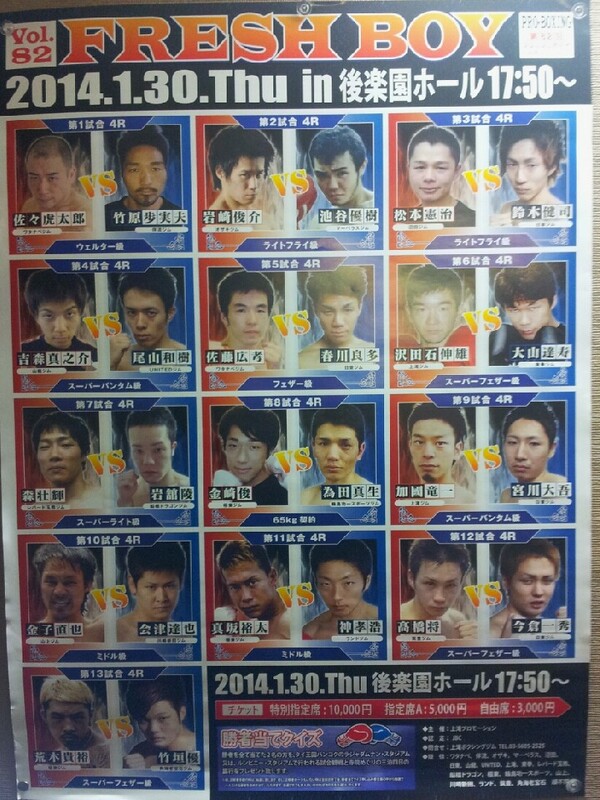 For the amount of fights it's great value even if none of the fighters are big names.